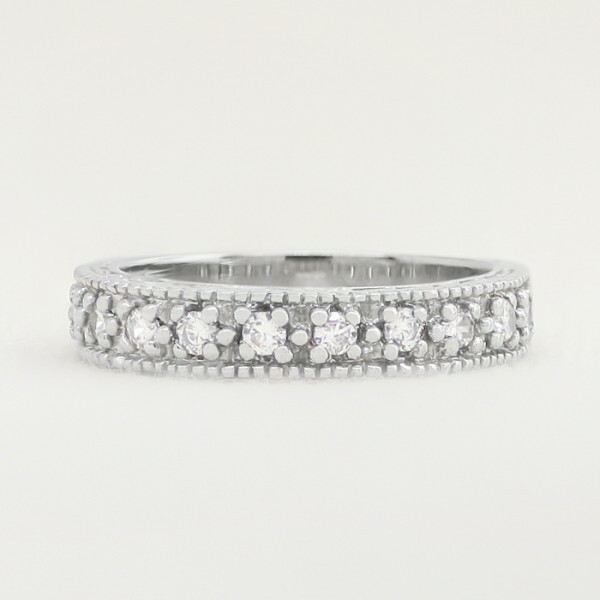 Ornate Semi-Eternity Band with Round Brilliant Accents - Platinum - Ring Size 5.0-6.0 was added to your cart. This romantic platinum wedding band is adorned with millgraine detailing and cut-out designs along the profile for a lacy look. Thirteen Contemporary Nexus Diamond accents, weighing a total of 0.33 carats, give it a healthy touch of sparkle.